In honor of Dr. Martin Luther King, Jr., we will not publish on Monday. We'll see you all again on Tuesday morning, January 21. "What a great time of the year! We have just finished the holidays and are right before Winter Institute 9. As far as I can tell, it was a very positive season for many of us. Many stores had record sales during the holidays. I read about best single days in store history, best holiday seasons, and best years for many stores (BookPeople had its two best single days and fourth consecutive best year). It is this sort of news that makes us know that print is here for the very long term and that we are an integral part of getting print to people." November bookstore sales fell 4.2%, to $818 million, compared to November 2012, according to preliminary estimates from the Census Bureau. For the year to date, bookstore sales have fallen 1.7%, to $11.7 billion. In the first 11 months of 2013, sales improved in January, March and September over 2012, but were down every other month, in part because of high sales a year earlier of the Hunger Games and Fifty Shades of Grey trilogies. Total retail sales in November rose 3.7%, to $431.8 billion, compared to the same period a year ago. For the year to date, total retail sales have risen 4.2%, to $4,599 billion. Booksellers on the Future of Bookselling panel at Digital Book World Wednesday in New York City all emphasized the importance of community and making bookstores gathering places as key elements that have helped them and many other indies thrive in the past few years. Noting predictions of a few years ago that there would be no bookstores left by now, moderator Chris Kerr of Parson Weems said, "We're here first and foremost to give lie to the rumor that bookstores are dead." "We are indeed not just alive," Bradley Graham, co-owner of Politics & Prose, Washington, D.C., said. "Some of us are doing pretty well." Besides a bump from the Borders collapse in 2011, indies have been aided by what Graham called "a very visible re-commitment from customers to support and buy in local bookstores. They see our advantages over Amazon," which include personal service, being able to offer expert advice, and acting as a third place after the home and office for people to gather. He added that many bookstore owners and managers, "while notoriously idiosyncratic, are very entrepreneurial, full of inventiveness and adaptability." 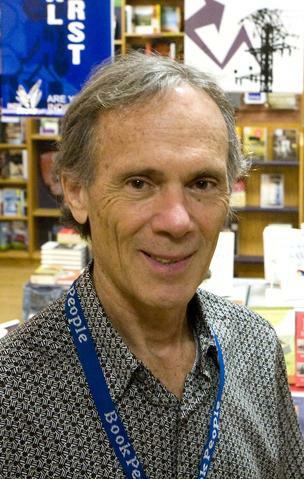 He pointed to changes at Politics & Prose since he and his wife, Lissa Muscatine, bought the store two and a half years ago: "While physical book sales have remained strong, we have not simply coasted." The store has added more literature classes, foreign trips and local outings, installed an Espresso Book Machine, beefed up sidelines, hosts even more author talks in store and at other venues, acquired a liquor license so it can sell beer and wine at author talks, built up corporate and bulk sales and added trivia nights. Many of these activities, Graham said, are "another way to bring people to the store and reinforce role of the store as a gathering place and place to go and enjoy and discuss literature and ideas." Such things, he noted, are more important than ever "in this often impersonal society." Margot Sage-EL, owner of Watchung Booksellers, Montclair, N.J., echoed Graham's comments, adding, "We are the community is what it comes down to." She called the book "an incredibly intimate and personal object" and noted that booksellers know books so well and can match them with people. Events are also very important for the store and its community. "Basically, the key is people wanting to connect with each other increasingly in the age of technology," she said. 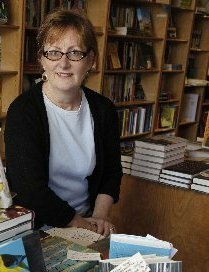 Roxanne Coady, owner of R.J. Julia, Madison, Conn., said that in considering the future of bookselling, it helps to "step back and think in a more macro way," such as by asking, "What is future of in-person retail relative to everything being available online?" She sees two scenarios for bookselling. In the "bleak, post-apocalyptic" version, which she called "a possibility," Barnes & Noble folds, physical books disappear and the only bricks-and-mortar book retailers left are "cute Hollywood-style bookstores" that are more like museums than true stores. Her cheerier scenario focuses on "humanity liking to congregate and be in touch," which she described as "a real opportunity for us" both in stores and online. Customers "will want to be in that [online] microcosm," she said. "They'll want to know what each other are thinking." Like Graham, Coady reported that more and more customers are expressing appreciation for the store and the experience of shopping in it. An example of possible experiences was an outing she organized for fans of The Goldfinch by Donna Tartt. She got tickets to the show at the Frick Collection in New York City, where the eponymous painting is currently on display, arranged for lunch at the Asia Society and booked someone to come from Little, Brown to talk about the novel. She charged $250 for the trip; the 20 places sold out in an hour and a half. "People are interested in quality experiences," she said, "and our job is to figure out how to do that and how to do it profitably." Noting that her store doesn't have a major online presence, Sarah McNally, owner of McNally Jackson Books, New York City, said her focus is on the store on a physical level. In part because of horrendous rents in the city, when her lease runs out in six years, she may have to close the store. As a result, she wants customers to think of McNally Jackson more and more as "a brand known for intellectualism and curation. Eventually McNally Jackson will become larger than its current store, and then we'll have flexibility." McNally is already experimenting with new locations. Last year she opened Goods for the Study, a shop featuring stationery, desk accessories, lighting, etc., on Mulberry Street; since then, McNally has rented space next door, where she will likely open a gallery. She is also planning to open a branch of the bookstore in Williamsburg in Brooklyn--she's close to signing a lease and said, "It'll be quite magnificent." McNally lamented the lack of a "buy local" campaign in New York City, like those in Salt Lake City and Austin, Tex. This is particularly important, she said, because the influx of chain stores helps drive up rents, which pushes out more and more indies. Bookstores that have closed in New York City rarely had a problem selling books, she said. Instead, "rents became unsustainable." The bookseller panelists had a range of attitudes toward and experiences with selling e-books and e-readers. Margot Sage-EL said she had lost "lots of customers to e-books four years ago"--so many that she thought the erosion might lead to the store closing. Then she noticed a pattern: for several years, in the first three months of the year--after many customers received holiday e-readers--sales dropped, but then people came back. Each year since, this post-holiday drop decreased in volume. Then "in 2012, people came back to us," she said. "They realized it was not an all-or-nothing situation." Some readers prefer reading certain types of books in paper format. She cited one woman who complained of being so tired of reading on her e-reader and "not knowing what she was reading, the title, the author or where she was in the text." Roxanne Coady said e-book sales have been hindered because of DRM, which makes Amazon's "coordinated, smooth system" very attractive. She did note that the trend toward mobile devices "might be good for us." Like many booksellers, Bradley Graham said that e-books have "proven to be negligible in terms of affecting our bottom lines," but added he is "happy we have the option" and some customers are appreciate having a choice because it "relieves guilt" for them. Michael Cader of Publishers Lunch said it was "confounding" to him that some in the industry have insisted that Association of American Publishers sales figures, showing that e-book sales were down 3.4% for 2013 through October, are confusing or unclear. "The data is very clear," insisted Cader. 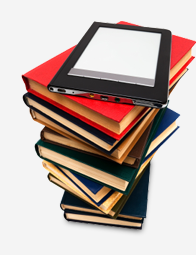 "It is quite clear that the growth of the e-book market has leveled off." Although the book industry data is "imperfect" compared to data collected in other industries, Cader admitted, the AAP data is still very good. It represents a "consistent dataset for the bulk of large, medium and some small size publishers." He also took issue with those who point to individual corporate results in an attempt to refute the larger trend. "A lot of individual companies are taking more dollars, but total dollars in the market remains flat," Cader explained. 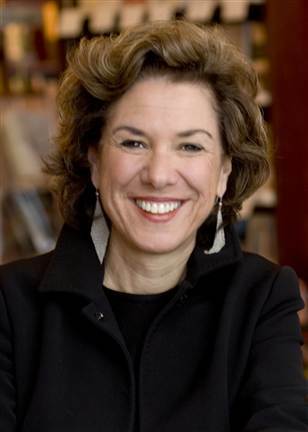 Dominique Raccah, CEO of Sourcebooks, reported that sales of her company's print children's books were up and attributed a significant part of that growth to Barnes & Noble's complete restructuring of its children's department. "I think [that] is a new prototype," Raccah continued. "I think they're doing the same thing section by section. It's not something that you do overnight across a whole chain." During the conference's final panel, Mike Shatzin, CEO of the Idea Logical Company, asked John Ingram, CEO of Ingram Content Group, about Amazon's commercial ambitions and the problems they might create for wholesalers. Ingram replied that being described as "just a wholesaler" reminded him of looking at pictures from the '70s and thinking "did I really wear that?" He acknowledged that though wholesale is part of what Ingram does, the goal is to provide a suite of services to help publishers figure out how to deal with the difficulties of their changing business landscape. "Much more comprehensively," he said, "our future is more about working upstream as a publisher services company." 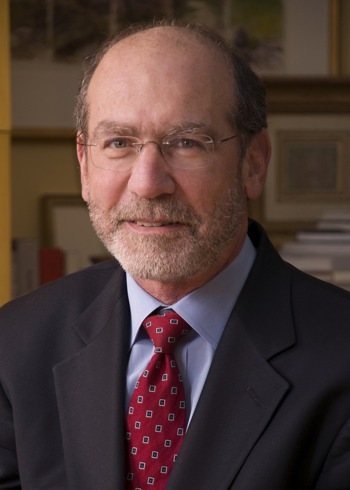 When asked if the Ingram administration would ever purposely provide better service to a third party consumer than a direct consumer (recalling Joseph Esposito's statements earlier in the day about Baker & Taylor potentially providing better service to Amazon than to direct customers), Ingram cautioned that wholesalers provide lots of value-added services to libraries, such as adding Mylar book jackets, that may make orders take longer to fulfill. When librarians decide to order from Amazon, he surmised, they are likely choosing to sacrifice those additional services for speed. "I never thought I'd be defending a competitor," Ingram remarked, adding that comparing the wholesaler-library relationship to the Amazon-library relationship was like "comparing apples to bananas." 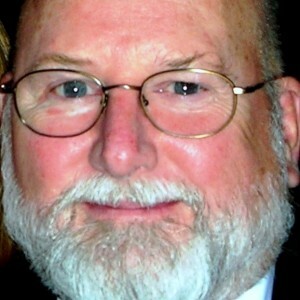 Phil Sexton, publisher of Writer's Digest, reported findings from a survey of traditionally published authors, self-published authors and "hybrid" authors. Most authors believe they will reach a larger audience and that they will receive better marketing services with traditional publishers, but 75% of all authors believe that they are much more likely to have more creative control through self publishing. Sexton noted, however, that regardless of their publishing track, "content providers generally feel unsatisfied either way." Joe's Place Bookstore to Open in Greenville, S.C.
Alix and Mary Bernard are opening Joe's Place, a new and used bookstore that will also offer wine, beer, local art and gourmet coffee, at 640 S. Main St. in Greenville, S.C., GreenvilleOnline.com reported. The opening is tentatively planned for mid-February. "I'd like this to be Greenville's living room," said Alix. "Some place to sit, relax, glance at a book or have a glass of wine and watch people go by through the window." One wall of the bookshop will be dedicated to children's books and a "long bar will serve a selection of wine and coffee from Ethiopia, Brazil and other exotic locales," GreenvilleOnline.com wrote. Bernard also hopes to feature new books by South Carolina authors and to host book signings and lectures. Joe's Place is the second new bookshop currently in the planning stages for downtown, joining M. Judson Books. Bernard said there is room for all: "Asheville has four or five bookstores, so I think we can coexist." 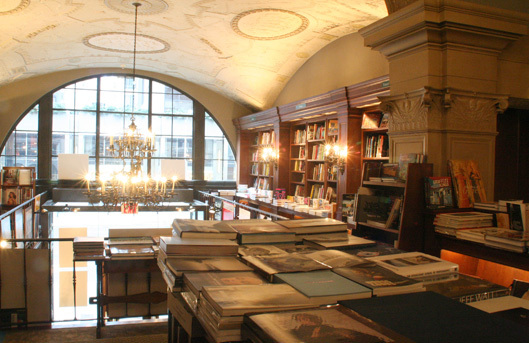 In the wake of news reports this week regarding the pending demolition of the building that houses Rizzoli Bookstore in Manhattan, Rizzoli said its flagship store "is, and will remain, open for business at its current location for the time being, though the company is actively seeking new space." Rizzoli Bookstore "has been, and will continue to be a literary landmark in New York City, and a celebrated destination for important authors and booklovers from all over the world," the company noted, adding that it "has been touched by the outpouring of public appreciation for the 57th Street bookstore as an important part of New York City's cultural life, and looks forward to remaining a vital part of the city's fabric for many decades to come." More Americans are reading e-books, but few of them have completely replaced print with digital editions, according to a survey from the Pew Research Center. The study, which was released yesterday, polled a nationally representative sample of 1,005 Americans (age 18 and older) between January 2 and 5. The number of adults who read an e-book in the past year rose to 28%, up from 23% at the end of 2012. During the same period, 69% of Americans reported reading a book in print, up from 65% after a slight dip in 2012; and 14% of adults listened to an audiobook. Noting that "print remains the foundation of Americans' reading habits," Pew researchers found that most people who read e-books also read print books, with just 4% of readers describing themselves as "e-book only." Audiobook listeners have the most diverse reading habits overall, while fewer print readers consume books in other formats. During the previous year, 76% of adults said they had read a book in some format, with the "typical American adult" reading or listening to five books in that period, and the average for all adults was 12 books. The researchers said "neither the mean nor median number of books read has changed significantly over the past few years." Whether you booked an extra day or two to enjoy the Pacific Northwest's crown jewel or plan to fly home as soon as Winter Institute closes, we hope you find time to enjoy a little of what makes our city by the Sound so wonderful. Most of our suggestions are within walking distance of the Westin, but there are a few longer trips, too. Don't worry; getting around town is simple (see below for transit info). Locals really do shop at Pike Place Market (1st Ave. and Pike St.)! It's usually crowded, but if you're patient there's much to see and it's almost all covered (dodge the rain!). Drop some coins in Rachel the bronze pig on your way in and rub her nose for good luck, then pause near Pike Place Fish Market to watch the pros toss seafood through the air. You can stop at the original Starbucks location (1912 Pike Place), but prepare for a wait. At Beecher's Handmade Cheese (1600 Pike Place) you can order the world's best mac and cheese--Martha Stewart and Oprah agree--and you can watch the cheesemaking process live. The market boasts several specialty bookstores: Lamplight Books, Left Bank Books, White Horse Trading Co. (a pub/bookshop hybrid) and Metsker Maps. For a disgusting (but colorful) photo op, head to Unexpected Productions' comedy theater (1428 Post Alley) and gawk at the appalling majesty of the Gum Wall. Wash any bad taste out of your mouth at Rachel's Ginger Beer (1530 Post Alley), where the handcrafted spicy sodas are on tap (and can be mixed into delicious cocktails). Take the Monorail to the Seattle Center--former site of the 1962 World's Fair--to snap photos beneath the Space Needle, gaze at Dale Chihuly's ubiquitous glass artwork in Chihuly Garden and Glass and take goofy pictures on all the public sculptures. Puzzle over the exterior of the EMP Museum (325 5th Ave. N) (hint: architect Frank Gehry was inspired by pieces of broken guitars) and then spend some time inside. The "Fantasy: World of Myth and Magic" exhibit is particularly stunning, and you can see original, marked-up pages from Bram Stoker's Dracula manuscript in "Can't Look Away: The Lure of Horror Film." If you're feeling peckish, stop in the Armory, a hip food court with outposts of local restaurants. May we recommend the poutine from Skillet Counter? If you take one of the Space Needle's chubby gold elevators to the observation deck, you'll find it's not that tall and any snapshots you take will sadly lack the space-age curves of the iconic structure. Instead, save your ducats for Columbia Tower's Sky View Observatory (701 5th Ave., 73rd floor), which is the tallest public viewing area this side of the Mississippi. 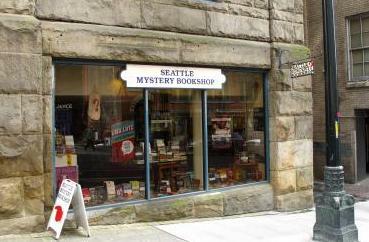 You'll be near Pioneer Square, so check out the Seattle Mystery Bookshop (117 Cherry St.), commune with a little artificial nature at Waterfall Garden Park (219 2nd Ave. S) and then learn about the city's curious origins on the Underground Tour (608 1st Ave.). 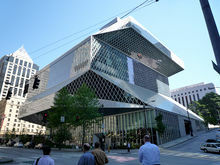 Seattle Public Library's Central Branch (1000 4th Ave.), designed by Dutch architect Rem Koolhaas and former Seattleite Joshua Ramus, is an 11-floor marvel. Give yourself a self-guided cell phone tour: at 19 marked points in the building, dial 206-686-8564 and enter the item number on the sign followed by # to learn fun facts about the facility. Make sure to check out the Books Spiral (floors six through nine), where most of the nonfiction titles are kept in a continuous, expandable, gently sloping display. Even the escalators here are interesting, swathed in bright colors and surrounded by art installations. Where'd You Go, Bernadette is right: it really is all about the mountains and the water. For a unique view of both, climb aboard the Seattle Great Wheel (1301 Alaskan Way) and take a few spins above Elliott Bay. Stop at Ivar's Acres of Clams or the adjacent Fish Bar (1001 Alaskan Way, Pier 54) to fill your belly. We love the fish and chips; so do the seagulls, but please don't feed them. Drop in to see Marshawn Pinch, a Seahawks fan (and hermit crab) in the Seattle Aquarium (1483 Alaskan Way, Pier 59). If you're feeling adventurous, take a water taxi to West Seattle and get lunch at Marination Ma Kai, (1660 Harbor Ave. SW) right next to the ferry dock. The view of downtown from Alki Beach is unparalleled and the Hawaiian-Korean fusion food is worth the trip. This city loves doughnuts, and Top Pot Doughnuts never fails to deliver the goods. Hit up Fran's Chocolates (1325 1st Ave.) for some salted caramels. Try one, then buy more for your friends back home and eat them all on the plane. Pick up breakfast, lunch or a sweet snack at Dahlia Bakery (2001 4th Ave.)--the coconut cream pie is a Shelf favorite. Sit down for lunch at Le Pichet (1933 1st Ave.) or the Virginia Inn (1937 1st Ave.)--we're right across the street! For dinner, try out Spur (113 Blanchard St.), Lecosho (89 University St.), Shiro's Sushi (2401 2nd Ave.), Lola (2000 4th Ave.), Local 360 (2234 1st Ave.) or Maximilien (81 Pike St.). Whether you want cocktails, beer, or wine, we have something for you: Bathtub Gin & Co. (2205 2nd Ave.), Bookstore Bar (92 Madison St.), Palace Kitchen (2030 5th Ave.), Pike Brewing Company (1415 1st Ave.), Suite 410 (410 Stewart St.) and The Upstairs (2209 2nd Ave.) will quench your thirst. Shelfers typically stop at Moore Coffee Shop (1930 2nd Ave.), but Cherry Street Coffee (509 Olive Way), Fonté Café & Wine Bar (1321 1st Ave.) and Seattle Coffee Works (107 Pike St.) are also tasty. Seattleites are enthusiastic sports fans, to say the least. As the loudest fans in the nation, we're considered the Seahawks' 12th Man because we supplement the 11 active players on the field. You'll see blue-and-green 12s all over town in support of our team. Go Hawks! Best of all, you can stop by Shelf Awareness (1932 1st Ave., suite 300)! To set up a quick visit, e-mail kristin@shelf-awareness.com. 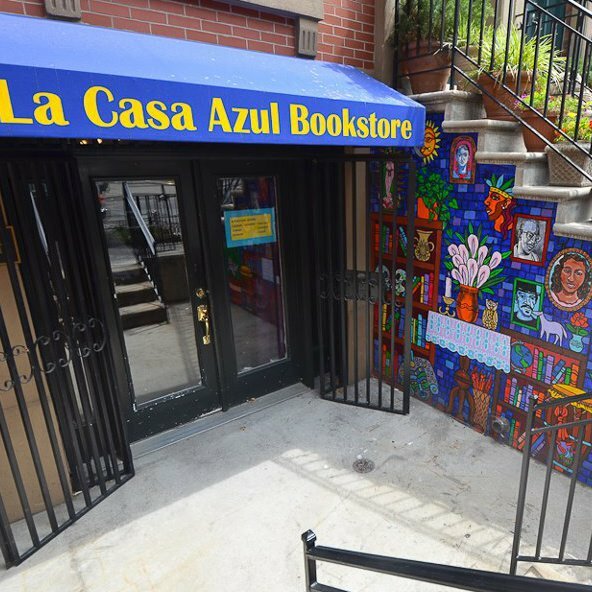 "My life has definitely changed because of the experiences I have acquired through the position of operations intern at La Casa Azul Bookstore" in New York City, Chris Lopez wrote on the bookshop's blog, Lucha Libros. "The amazing women who make up the staff and their influence on me from the artistic expression to their academic accomplishment gave me such determination for myself to pursue and take my education seriously," Lopez wrote, adding that owner Aurora Anaya-Cerda is "definitely the pillar and the ideal role model that small business owners should look up to, especially if the community is an important element of their business. I have learned not only from the bookstore but mostly from Aurora herself. The word 'consistency' is forever embedded in my soul and how it is incorporated in everyday life, in the functions of a successful small business and in my personal life as an individual learning from life itself. I am glad to have served as an intern in this sacred artistic space and to have been a part of a 'cultural sancocho' family of amazing professional and successful Latinas." Crossing Savage (Peter Savage, Book 1) by Dave Edlund (Light Messages). 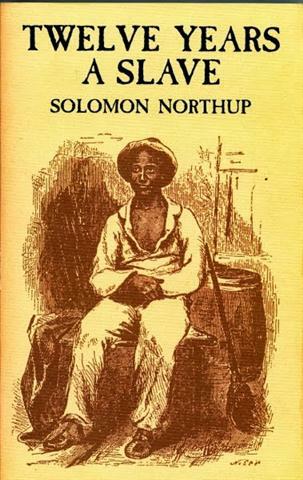 12 Years a Slave, based on the autobiography by Solomon Northup: best picture, director (Steve McQueen), actor (Chiwetel Ejiofor), supporting actor (Michael Fassbender), supporting actress (Lupita Nyong'o), adapted screenplay (John Ridley) and three more nominations. Captain Phillips, based on A Captain's Duty: Somali Pirates, Navy SEALs and Dangerous Days at Sea by Richard Phillips & Stephan Talty: best picture, supporting actor (Barkhad Abdi), adapted screenplay (John Ridley) and three more. The Wolf of Wall Street, based on Jordan Belfort's memoir: best picture, director (Martin Scorsese), actor (Leonardo DiCaprio), supporting actor (Jonah Hill) and adapted screenplay (Terence Winter). Philomena, based on The Lost Child of Philomena Lee by Martin Sixsmith: best picture, actress (Judi Dench), adapted screenplay (Steve Coogan and Jeff Pope) and one more. August: Osage County, based on the play by Tracy Letts: actress (Meryl Streep) and supporting actress (Julia Roberts). Dirty Wars, based on the book by Jeremy Scahill: best documentary feature. 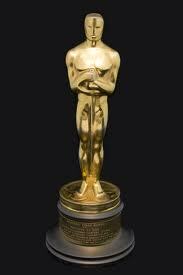 Other multiple-nomination book-to-film adaptations include The Hobbit: The Desolation of Smaug in three categories, The Great Gatsby and Lone Survivor in two categories each. The best animated feature film category has three adaptations: Frozen, The Wind Rises and Ernest & Celestine. Tomorrow on MSNBC's Weekends with Alex Witt: Laura Vapnyar, author of The Scent of Pine (Simon & Schuster, $25, 9781476712628). Tomorrow on CBS Radio's Weekend Roundup: David B. Agus, author of A Short Guide to a Long Life (Simon & Schuster, $17.95, 9781476730950). Sunday on NPR's Wait, Wait, Don't Tell Me: Doris Kearns Goodwin, author of The Bully Pulpit: Theodore Roosevelt, William Howard Taft, and the Golden Age of Journalism (Simon & Schuster, $40, 9781416547860). Sunday on NPR's Weekend Edition: Erika Hayasaki, author of The Death Class: A True Story About Life (Simon & Schuster, $25, 9781451642858). Monday on a repeat of NPR's Diane Rehm Show: Gregg Easterbrook, author of The King of Sports: Football's Impact on America (Thomas Dunne Books, $25.99, 9781250011718). Monday on the Queen Latifah Show: Hill Harper, author of Letters to an Incarcerated Brother: Encouragement, Hope, and Healing for Inmates and Their Loved Ones (Gotham, $27.50, 9781592407248). Monday on MSNBC's Hardball: P.J. O'Rouke, author of The Baby Boom: How It Got That Way… And It Wasn't My Fault… And I'll Never Do It Again (Atlantic Monthly Press, $25, 9780802121974). The Mystery Writers of America has chosen its nominees for the 2014 Edgar Allan Poe Awards, honoring the best in mystery fiction, nonfiction, TV and film published or produced in 2013. View the full list of Edgar finalists here. The Edgar Awards will be presented to the winners May 1 at MWA's 68th banquet in New York City. Rachel Cantor's stories have appeared in the Paris Review, One Story, Kenyon Review, Ninth Letter, New England Review and Fence, have been nominated for a Pushcart Prize three times, and have been shortlisted by both Best American Short Stories and the O. Henry Awards. 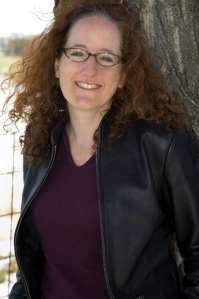 Cantor has received fellowships from the Yaddo Corporation, the MacDowell Colony, the Millay Colony and the Djerassi Resident Artists Program, and she has been a scholar at the Bread Loaf, Sewanee and Wesleyan writing conferences. She lives in Brooklyn, N.Y. Her debut novel is A Highly Unlikely Scenario, or a Neetsa Pizza Employee's Guide to Saving the World (Melville House, January 14, 2014). See the book trailer here. There are 18 books on my nightstand, including The Matisse Stories by A.S. Byatt; Pitch Dark by Renata Adler; Snow Hunters by Paul Yoon; To the End of the Land by David Grossman; How to Live Safely in a Science Fictional Universe by Charles Yu; Dybbuk by Gershon Winkler; and A Path with Heart by Jack Kornfield. So many! If I had to narrow it down: Jane Eyre by Charlotte Brontë; Harriet the Spy by Louise Fitzhugh; Charlotte's Web by E. B. White; The Lion, the Witch, and the Wardrobe by C.S. Lewis. Jane Eyre, if I had to narrow it down furthest. Charlotte Brontë, Dante, Emily Dickinson, Paul Celan, Italo Calvino. I pick these from hundreds of candidates because they appear in or otherwise inspired my fiction. I've never faked reading anything, I don't believe, though I once told a professor I'd read Tristram Shandy by Laurence Stern, because I confused it with Henry Fielding's Tom Jones! There was plenty of assigned reading I didn't get to in college, like, um, Emerson and, um, Marx. There was a period of time when I traveled with Finnegans Wake by James Joyce in my backpack but never read a word of it. There are several British writers for whom I'm an evangelist, I suppose because they, or some of their best books, are not as well known in the U.S. as they should be: Penelope Fitzgerald (Offshore), Beryl Bainbridge (A Quiet Life), A.L. Kennedy (Paradise), Zoe Heller (What Was She Thinking? ), early Kate Atkinson, Pat Barker (The Regeneration Trilogy), Rose Tremain (Restoration, The Colour), Hilary Mantel (Beyond Black). I also read male authors, but I evangelize for the women. How to Get into the Twin Palms by Karolina Waclawiak (Two Dollar Radio). It's a wonderful cover, and a wonderful, wonderful book. And if my publisher hadn't given me a copy of How to Keep Your Volkswagen Alive by Christopher Boucher, I would have bought that based on the cover--it's gorgeous! The Elements of Style by William Strunk, Jr., and E.B. White. The last line of "Gusev" by Anton Chekhov. Gusev has died and been cast from his ship into the ocean: he moves more and more slowly toward the bottom; a shoal of fish is delighted with him; a shark ignores him, then tears apart the sailcloth in which he's wrapped, causing a weight in the bag to plummet. Presumably Gusev will now float back to the surface; nonetheless, the sun sets. "Looking at this gorgeous, enchanted sky, at first the ocean scowls, but soon it, too, takes tender, joyous, passionate colours for which it is hard to find a name in human speech" (Constant Garnett, translator). The Ravishing of Lol Stein by Marguerite Duras, but only if I could be 22 again! I asked a bookseller at a book fair to handsell me a book; what he chose was Tirza by Arnon Grunberg. I thought about that book for weeks after! In the wonderful and thoughtful My Life in Middlemarch, Rebecca Mead revisits her love of George Eliot's novel to consider what makes it great--and the ways life and art inform and imitate each other. The result is a lively, wide-ranging appreciation of one of the greatest novels in the English language, through the lens of Mead's observations on its shifting resonance throughout her own life. Middlemarch was published in eight installments in 1871-1872, and Mead has structured her book in eight parallel chapters. She was 17 when she first read and fell in love with Middlemarch; she identified completely with Dorothea Brooke, who longs for a life of love and significance and whose unfocussed yearning reflects the young Mead's own inchoate hopes. Eliot's letters written at that age reveal an ardent young woman, religious and judgmental to the point of priggishness and ostentatiously eager in her ambitions, much like anyone on the verge of adulthood. In later chapters, as the characters in the novel age, Mead follows Eliot as she loses her faith, moves to London and becomes a well-known editor; she is spurned by a possible suitor but makes a happy match with George Lewes, whose is estranged from his wife but unable to divorce. She becomes stepmother to Lewes's sons in all but name. Mead reflects on her own journey to marriage and a blended family, finding the spirit of her experience in Eliot's life and in the novel. "A book may not tell us exactly how to live our lives," she writes, "but our own lives may tell us how to read a book.... Middlemarch seems charged with the question of being a stepmother... of all that may be gained by opening one's heart wider." Lewes and Eliot become close to Mark and Emily Pattison, a gruff Oxford rector and his passionate younger wife, who some critics believe were the models for Dorothea and her husband, Edward Casaubon, a pedantic and failed scholar. But such reduction is too simple, Mead argues, suggesting the rector may have seen himself in the hopeful Dorothea while Emily shared Casaubon's thwarted ambitions for writing large, authoritative works. Shelf Discovery: A wonderful blend of biography, literary criticism and personal memoir, through an insightful close reading of George Eliot's Middlemarch. As you read this, the 14th annual Pulpwood Queens Girlfriend Weekend is officially underway in Jefferson, Tex., featuring a resplendent gathering of book lovers, authors and even an Elvis impersonator or three to evoke this year's theme, "Viva Las Vegas, Baby!" Just yesterday, founder of the Pulpwood Queens Book Club--with more than 500 chapters nationwide--and long-reigning Queen of Girlfriend Weekend Kathy Murphy (formerly Kathy Patrick) shared her final checklist on Facebook: "Tiara packed, check, fifty million costumes plus headdresses, check! I am on my way to Jefferson in just a few minutes and am I pumped! We'll have more Elvises than you can shake a stick at and quite a few Ann-Margarets too! See you there, channeling Nancy Sinatra!" If there is anyone in our industry who better represents the concept of "the show must go on" than Kathy, I'm not sure who that might be. This has been a year of transition for her, including the closure of Beauty and the Book bookshop/hair salon in Jefferson and a move to Hawkins, as well challenges in her personal life. Nevertheless, she has once again gathered her Pulpwood Queens and Timber Guys for another tiara-fueled Girlfriend Weekend and the show is definitely going on right now. As far as I can tell, I first began corresponding with Kathy in 2007 when she sent me an e-mail responding to a Shelf Awareness column about reading independent press titles. Recommending Rain Village by Carolyn Turgeon, she wrote: "This is a writer to watch and Unbridled Books to me is discovering authors of extreme merit. I just could not wait to tell you about this small press book!" That "I just could not wait to tell you" about a book energy is classic Kathy, as anyone who's encountered her will attest. In 2008, her own book, The Pulpwood Queen's Tiara-Wearing, Book-Sharing Guide to Life, was published, and we've been corresponding regularly ever since. I finally met Kathy and her daughters, Madeleine and Helaina, at BookExpo 2012 in New York City. She told me then she believed she had "created 'a book world,' a world where we are building lifelong friendships, relationships and community that is truly making our lives for the better." And so she has. "Life has been about major change this past year for me with my divorce, and move to a new home and shop in Hawkins," she said recently. "The future? Sharing my love of books and mission to promote literacy, of course. My bookstore now only carries Pulpwood Queen Book Club Selections." In a recent profile, the Longview News-Journal noted that Kathy "fills her days with what she loves: God, books and, of course, big hair"; and that "those who have watched her build the book club over several decades know her spirit, if anything, has gotten stronger." 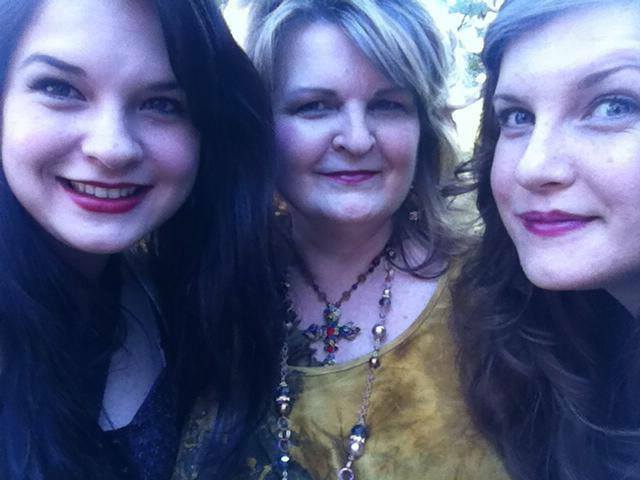 Kathy's daughters are also an intrinsic part of Girlfriend Weekend. She said they've "been helping me on the weekend since they were little kids. Madeleine is the DJ for my Great Big Ball of Hair Ball and Helaina usually sings and will be helping me and my co-hosts. They are big book lovers like me!" In addition to her day job working at a beauty salon, Kathy is the youth director for the First United Methodist Church of Hawkins. "I love my life here and my church members have enveloped me in big book love," she said, adding that more chapters of the Pulpwood Queens Book Club are in the works, as well as speaking engagements, including one at the upcoming Nacodoches Film Festival where For the Love of Books, William Torgerson's documentary about Girlfriend Weekend, will be screened. She is also working on an updated and revised edition of her book and talking with a producer in Los Angeles regarding a possible film about her life in books. "Will it happen, who knows?" she said. "But what have I got to lose? I lost my home, my church, my shop this past year, so suddenly I think I'll just go for what comes my way."